More we get closer to summer, more we crave for this ice popsicle called Gari Gari Kun, which has been popular among children and adults as a reasonable refreshment since 1981. 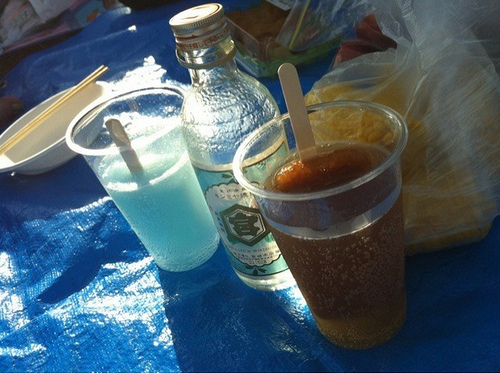 Gari Gari Kun is crunchy shaved ice covered with thin layer of popsicle, and the original is soda flavored. The closely cropped haired boy with big teeth is the trademark. The popsicle’s name refers the boy. “Gari Gari” is an expression for crunching sound and “-Kun” is suffix used toward boy. So Gari Gari Kun means “Crunchy Boy” in English. …from the top, strawberry milk, milk caramel, yogurt, Muscat grapes, apple mango, grape, soda (original), and grape fruit. 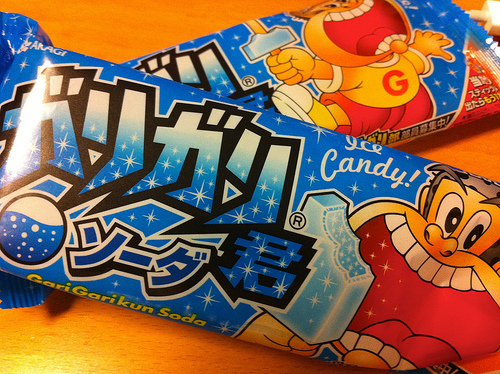 Last summer, the popsicle’s manufacture company, Akagi Nyugyo introduced some new ways to enjoy Gari Gari Kun on a TV show. This picture shows Gari Gari Kun in Kinmiya shochu. Another recommended way is “Suri Gari Kun,” which means shaved Gari Gari Kun. 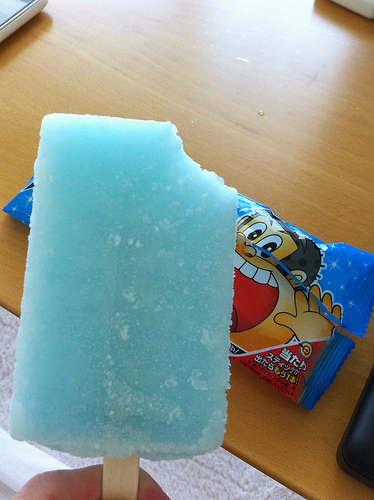 The shaved Gari Gari Kun gives different texture from the original. It’s like powder snow. The price of Gari Gari Kun is only 60 yen (60 US Cent)! 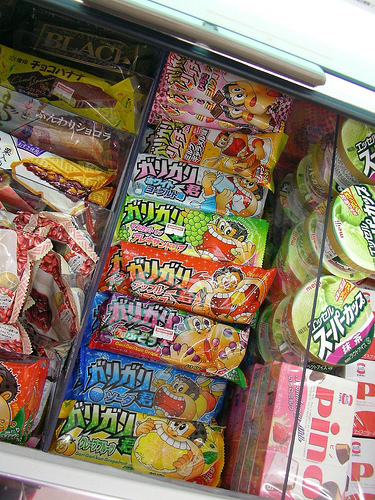 It is so easy to find the Gari Gari Kun faces because the popsicles available at any supermarket or convenience store in Japan.